This morning the President of ABC Entertainment Group, Paul Lee announced the networks new schedule for the Fall of 2014 and 2015. This schedule included NO new unscripted shows, but brings back competition reality show favorites “Dancing With The Stars”, “Shark Tank”, and “The Bachelor”. Lee stated that they will be “closing the season strong. We have our building blocks for every night of the week and we’re going to use that to build the schedule.” He said for audiences, “It’s no longer about what’s on television it’s about what you love. We have more social franchises than anyone else. We have six of the top twenty dramas. This year we’re trying a new approach.” Lee said in contrast to where a network sits back and only receives pitches. ABC went to some of them first. “We actually went out and approached some of the strongest voices. We said bring us your passion projects, and we’ll take off the handcuffs,” stated Lee. Lee also said of new drama “American Crime” is “extraordinary. It’s raw, emotional.” He said, “we really wanted to reflect the changing face of America.” Another show, “How To Get Away With Murder” with Viola Davis “is really fantastic.” He stated that the network plans to use the Oscars again for a lead-in on some of their new shows. 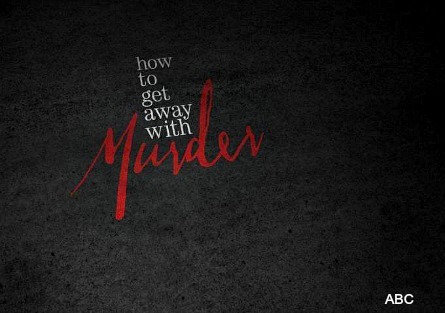 THURSDAY – Grey’s Anatomy (8pm), Scandal (9pm), How to Get Away with Murder (10pm). About the schedule, Lee said he thinks “The Goldbergs” will really grow in the 8:30pm time slot. “Black-ish” is a new show with actors Laurence Fishburne and Anthony Anderson. The “Nashville” audience gets stronger “half-way” in he noted. The new sitcom “Cristela” is starring and created by Cristela Alonzo. The three mid- season gap between Tuesday bringing in “Marvel’s Agent Carter“. On Sunday, Lee stated the gap between “Once Upon a Time” they are bringing in “Galavant”. When “Resurrection” finishes, they are putting-in “American Crime”. One question Lee got from a reporter was if new show “How to Get Away With Murder” which was filmed in Philadelphia will be going back there to film again. Lee said he doesn’t know because it depends on the tax credits. Lee said in March, they had a strong season with scripted shows, and ABC will be doing a split season with most of their shows like “Scandal”, “Revenge”, and “Once Upon A Time”. He said this year “Scandal” ended earlier because Kerry Washington had a baby. But ensures that audiences will get a full season when the show returns. What Happened to Kevin Hart Show? The show that will be used to bridge “Grey’s Anatomy” and “Scandal”? Lee said he’s not announcing that today. Pictured: Kerry Washington in “Scandal”. Lee gave a hint about what’s to come on the new season of “Scandal”. He said in the finale, “Olivia ends-up in a really strange place. The show has a great idea to give it a little twist.” He eluded to a possible time jump. Lee said when scheduling a line-up, it’s always been hard to go from comedy’s to dramas. Which is why “Agents of S.H.I.E.L.D” will be leading into “Forever”. With drama to a drama, he said, “It’s a much more natural lead-in,” with a mostly male audience. ABC adds “Cristela” to Fall schedule, starring Cristela Alonzo. What about new show “Fresh Off The Boat“? Lee said it’s an Eddie Huang story that is really good. “It’s a very funny journey. It’s so hard to read it from the clips. It’s a very, very distinctive voice. We are happy to have ‘Cristela’, ‘Fresh Off The Boat’, and ‘Black-ish’,” he said because the network is representing the changing face of the country. On that note, “Fresh Off the Boat” which is not on the Fall line-up is the only one that is “standing-by”. Lee plans to promote the show on it’s own after all the “Fall noise” is over. Another ABC upcoming show is “The Whispers” which comes from famous director and producer Steven Spielberg. Lee explains, “The idea behind it, you have an alien force that’s using our children against us. It’s poltergeist. We think it’s very strong.” He said the network isn’t announcing where the show will go yet, and that they’d like to see how the Fall goes.